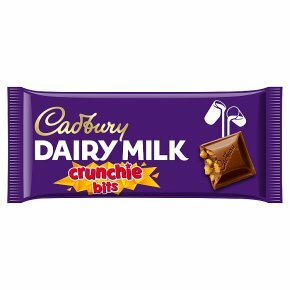 Cadbury's deliciously creamy milk chocolate with golden, crunchie honeycomb pieces. Made with a Glass and a Half of fresh milk. Large 200g bar - perfect for sharing with the whole family. Packed in our special easy-open, easy close wrapper. Suitable for vegetarians.